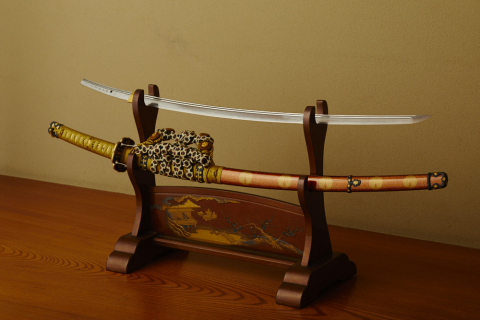 Keio Plaza Hotel Tokyo (KPH), one of Japan’s most prestigious international hotels located in Shinjuku, Tokyo, will host a special exhibition entitled “Japan’s Soul and Beauty of Swords and Armor by Legendary Artisans” displaying beautiful Japanese swords and armor from April 25 (Thursday) to June 27 (Thursday), 2019 in the 3rd floor lobby of our Hotel. This exhibition is part of our series of cultural programs designed to introduce various aspects of Japanese culture to our guests visiting the Hotel from over 100 different countries around the world. Various precious and old swords and armor made during the Heian Period (794-1185) and other periods of Japanese history will be displayed, along with “tsuba” (Sword handle guards separating the handle from the blade) and other ornate sword fittings. On May 14, two masters of sword-drawing from Ryushin Shouchi School will give a live performance in the Main lobby from 5:00 p.m.
Keio Plaza Hotel Tokyo (KPH), located in Shinjuku at the very heart of the nation’s capital Tokyo, is one of Japan’s leading international hotels. Our hotel boasts of over 20 restaurants and bars, and we host a wide range of local and international guests who visit us for our welcoming facilities, warm hospitality and unique services that allow them to experience Japanese culture, including our wedding kimono experience, tea ceremony and many others. For more information about our facilities and services, please visit our website , YouTube, Facebook or Instagram.